Ukrainian professional boxer, Wladimir Klitschko is already 41 and a little away from retiring as a boxer. 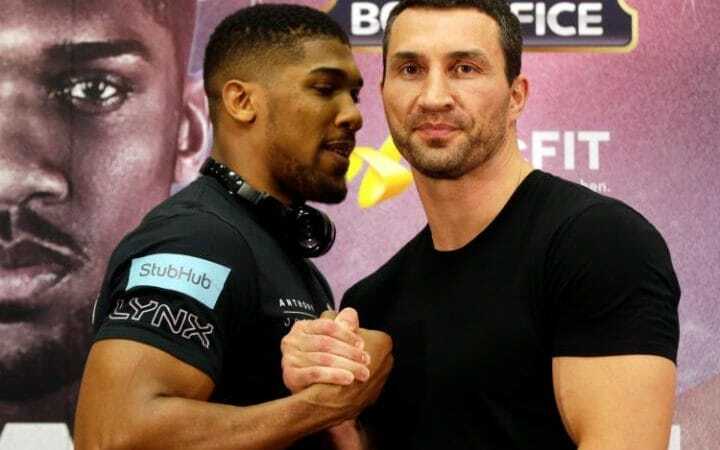 Well, after the match at Wembley where Klitschko was stopped mid-way by the Brit in the eleventh round, the boxer is challenged by Anthony Joshua to fight him once again. If I was in his position I would fight again, but I’m not Wladimir and I do not know what he wants to do’, Joshua said at a fan Q&A over the weekend. But, if I was speaking to Wladimir, I would say: ‘mate, it was a phenomenal performance, you were very good, but you did not win. Video: ANTHONY JOSHUA IMMEDIATELY AFTER 11TH ROUND TKO WIN OVER WLADIMIR KLITSCHKO? Well, the English boxing promoter Eddie Hearn is already planning for the rematch since the possibility of the rematch is very high. Eddie also later mentioned, the rematch might happen later this most probably in Cardiff.